With control of 90% of the basketball shoe market in the United States, Nike — and it’s Jordan-owned brand — have stayed true to the word’s meaning of victory; particularly where hardwood is concerned. However, just because you’re so used to winning, that doesn’t mean you aren’t due for a loss every once in a while. 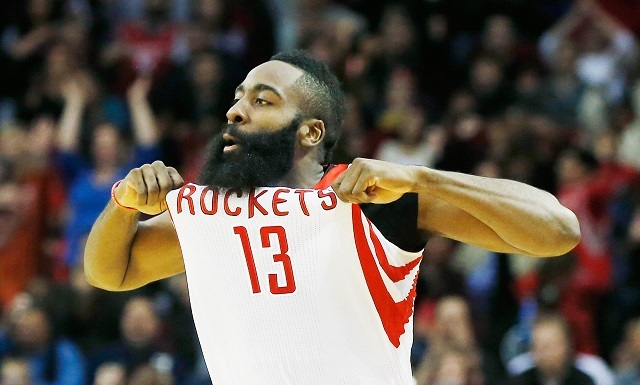 At least, that’s what Adidas is hoping with regard to Houston Rockets superstar James Harden. The endorsement deal between the swoosh and one of the NBA‘s most prolific scores recently expired. And when that happened, the brand with three stripes wasted no time courting The Beard, submitting a a massive endorsement offer to the tune of $200 million over 13 years. Considering this sum is half of what Adidas gave the NBA for the right to be its uniform provider over the last 11 years — according to EPSN.com — it’s clear the company badly wants The Beard to be part of the family. We’ll forget for a moment that it was actually OKC’s Russell Westbrook who took the 2014-15 NBA scoring title and choose to focus on the positives in Ehrlich’s statement. Harden is clearly one of the biggest players in the game, with a style and swagger that’s uniquely his own. But is he really worth a $200 million endorsement deal. Adidas sure seems to think so. While Harden didn’t win the league’s MVP award this past season, that didn’t stop him from taking home the top prize at the first-ever NBPA Players’ Awards. With an impressive season that saw him average 27.4 points, 5.7 rebounds, and 7.0 assists per game, the Rockets’ standout lefty showed the kind of talent worthy of receiving acknowledgement from his peers. This form of recognition can be extremely valuable from a marketing standpoint. 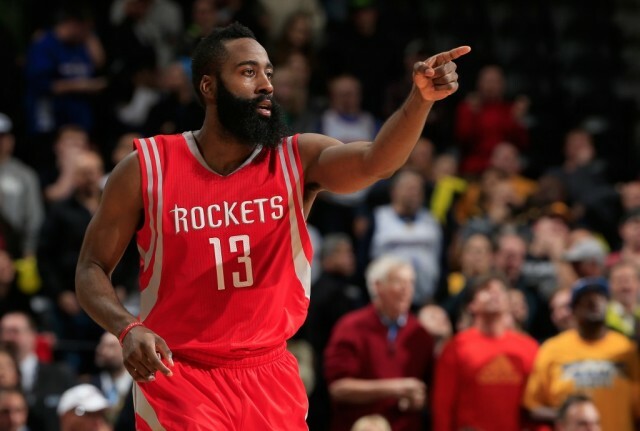 Of course, if we’re looking to discuss genuine marketability, look no further than Harden’s well-known beard. That impressively quaffed facial hair is his calling card. It’s a signature look unlike anyone else in the entire NBA. And whose to say it had no role in his reported connection to reality television’s first-family the Kardashians? A beard, a beauty, and baller on the court, Adidas may have found the perfect trifecta in two-time All NBA first teamer. While it may not be the first thing that comes to mind, according to ESPN, part of Adidas’ willingness to pay this steep price for Harden’s services, is his potential for international appeal; specifically in China, where the people love the Houston Rockets because of Yao Ming. Either way you look at it, the company needed to step up its game after dropping to the No. 3 best-selling apparel brand in the United States. It should be noted, Nike has until the end of the week to match the deal. This is a major price tag to pay, so it will be curious to see if the apparel giant is willing to let one of the NBA’s best players leave for a competing brand. With this deal, Harden could find himself making more money off the court than he does on it. And for someone who’s always believed they were a superstar, this is the ultimate slam dunk. In the end, either Nike or Adidas is going to come out a loser. The same cannot be said for The Beard.